Between them, Joss Whedon and Drew Goddard represent two of the most talked-about figures in Marvel's global media takeover, with the former handling the Avengers series and the latter serving as a writer and producer on Netlix's acclaimed Daredevil series. In addition to Buffy the Vampire Slayer, the pair found critical acclaim with their 2012 film The Cabin in the Woods. Now, however, that film has been slapped with a plagiarism lawsuit. The meta horror film was co-written by Goddard and Whedon, with Goddard serving as director. 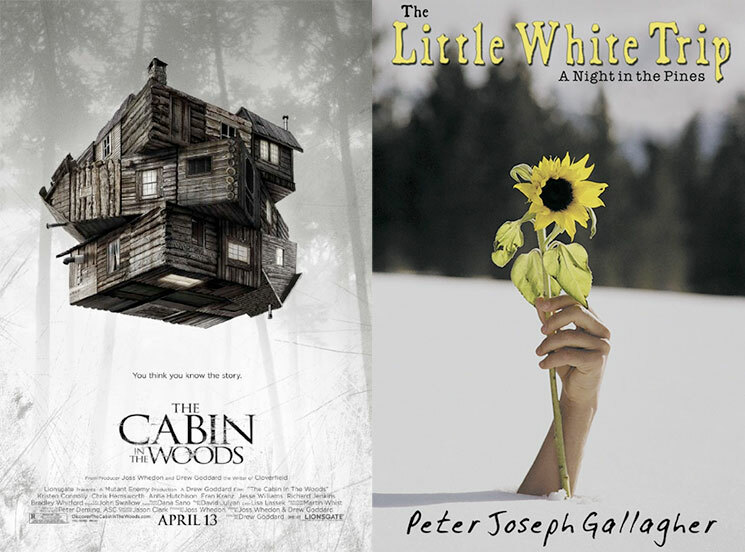 However, an author named Peter Gallagher has come forward to claim that the film's plot is "virtually identical" to The Little White Trip: A Night in the Pines, a self-published book he released in 2006. He filed a $10 million lawsuit against both writers as well as Lionsgate Entertainment and Lionsgate Films. As The Wrap reports, the lawsuit claims that there are numerous similarities between the book and the film. "Comparing the Book to the Film, the plots, stories, characters, sequence of events, themes, dialogue, and incidents portrayed in the two works are fictional and, in many respects, the elements in the two works are virtually identical," the lawsuit alleges. Both stories follow a group of five adolescent friends, divided as three males and two females, who visit a secluded cabin. The previous inhabitants of the cabin were murdered, and their murderer comes back to visit. As the story unfolds, however, we learn that the cabin's inhabitants are being manipulated by an outside group who are torturing them for their own enjoyment. Further, Gallagher explains that the female characters in his book are named Julie and Dura, and in the film they're named Jules and Dana. Though it was self-published, The Little White Trip: A Night in the Pines managed to move 7,500 units in sales. It was sold throughout Los Angeles. If you'd like to peruse the lawsuit documents in full, The Hollywood Reporter posted them here.